Purim is a Jewish holiday celebrated by dressing up in costume. For more on Purim, see the Purim wikipedia page. Every year Universal Studios Orlando throws an awesome Mardi Gras party complete with parades, beads, costumed performers and concerts. 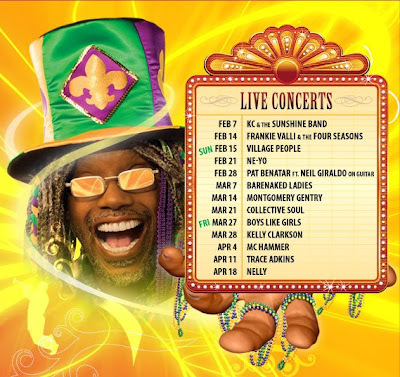 Universal Studio's Mardi Gras party goes on now through April 18th with live concerts every weekend! This is a great way to celebrate Mardi Gras in Florida while it is winter everywhere else, the weather here is beautiful. And the $99 deal for both parks is a great bargain! Note that Universal Studios does not let you enter the parks in full costume, but you can always bring beads, and hats and such! Visit MardiGrasCostumes.com to get ready for the big day! Be a Part of Mardi Gras New Orleans with Web Cams! Don't feel left out if you aren't in New Orleans for Mardi Gras. You can see all the action from several live Mardi Gras New Orleans web cams set up by NOLA.com! Now is your chance to be a part of the party and get in on the New Orleans Mardi Gras action! 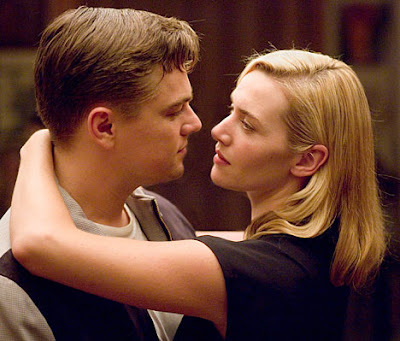 Congratulations to Michael O'Connor for winning the Oscar for Costume Design! 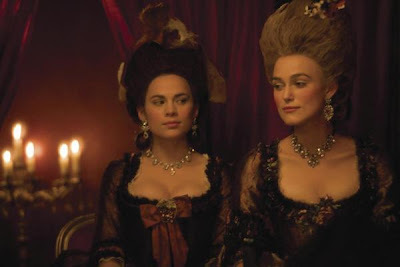 I am pleased to see that the beautiful period costumes from The Duchess won the Oscar Award for Best Costumes in a Film for 2008. 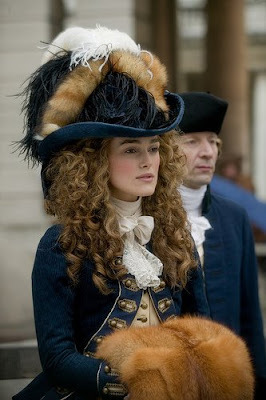 The costume designer is Michael O'Connor and his designs on Keira Knightley were absolutely stunning in her role and she wore the costumes so well. The Academy Award for Makeup went to Greg Cannom for The Curious Case of Benjamin Button'. 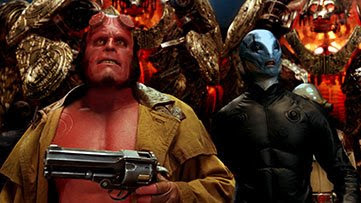 The transformation they achieved in this movie is really amazing! Costumes from the movie "The Duchess" starring Keira Knightley as Princess Diana's ancestor Georgiana Duchess of Devonshire are set to appear as part of the "Art of Motion Picture Costume Design exhibition. 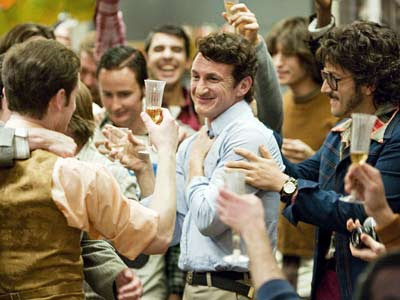 The movie has already been nominated for five Oscar nominees for best costume design. The costumes set to appear at the exhibition will be joined by costumes, accessories and props from more than 20 other films for the Art of Motion Picture Costume Design exhibition, which will open to the public on Wednesday January 28th '09 and remain on view through March 29th '09. What: The 17th annual Art of Motion Picture Costume Design exhibition featuring clothing, accessories and props from recent films, including several current Oscar nominees. When: 10 am. to 4 pm. Wednesdays through Sundays from Wednesday through March 29. Where: FIDM Museum & Galleries at the Fashion Institute of Design and Merchandising, 919 S. Grand Ave., Los Angeles. Admission: Free. Guided tours for 10 or more people are available by prior arrangement at the cost of $10 per person. You can also get your own period costume masterpiece from Annies Costumes! Motion for Mardi Gras to be an official holiday! Motion for Mardi Gras is a new effort to make Mardi Gras an official holiday. Please visit www.motionformardigras.com to sign the petition! Fat Tuesday is Fast Approaching! Get ready for a Mardi Gras Party! Fat Tuesday is this Tuesday, February 24, 2009. It's not too late to order Mardi Gras costumes, hats or party supplies to have them in time for Fat Tuesday. Just place your order with next business day shipping by 2pm EST on Monday, Feb 23, 2009 and it will be delivered by end of business on Tuesday. Let the Good Times Roll or as they say in the French Quarter: "Laissez les bons temps rouler." You can have your own Mardi Gras celebration no matter where you are. Add some Mardi Gras masks and beads. Check out Mardi Gras recipes and traditions. And don't forget the King Cake for dessert! You can also celebrate Mardi Gras all week long and any time of the year! Who do you think will take home the Oscar for costume design? 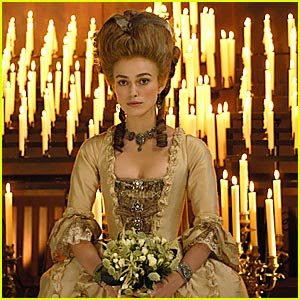 My guess is Michael O-Connor for The Duchess, the beautiful period pieces are exquisitely elegant! 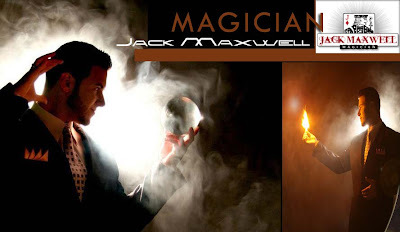 Jack Maxwell is a magician without limits. The stunning effects of his magic will dance in your mind, while his charm takes audiences on a journey of wonder and amazement. Jack’s unbelievable sleight of hand and rapid-fire wit creates an entertainment experience like no other. Featured in Magic DVD’s, lectures, and workshops as well, as an author and inventor of magic, Jack Maxwell has mentored and trained many magicians from around the globe on new techniques and ways to improve their craft. Jack’s love affair with magic started over 20 years ago with the support of his parents. In 2003, he opened “The Wizard’s Apprentice” magic store in Hollywood, Florida, making him the youngest magician to ever own and operate a magic store. With the growing demand of Jack’s performances, Jack is moving his magic store to an online sales retailer in order to free up the time needed to perform more shows. Face Painting Makeup Super Sale! All Snazaroo Face Painting Makeup now on sale! Snazaroo face paint kits are great for a variety of character uses. They are great for painting children's faces or adult faces as well. The character possibilities with this makeup are endless: clowns, cats, dogs, animals, fantasy, camouflage, superheros and the list goes on and on. SNAZAROO is revolutionizing face painting by providing the world's safest Face Painting product. Not only do these products meet all FDA and European safety guidelines, but this makeup also carries a "child toy safety rating." These makeup creams and cups are highly pigmented, so a little goes a long way; and the paint dries shortly after application. This paint applies easily with water and a brush or sponge and washes off easily with mild soap and water. SNAZAROO carries many different vivid colors to meet the demands of the choosiest. 18 ML size color cups on sale! Regular price $7.99 - $9.99 now on SALE for only $2.95 each! 75 ML size color cups on sale! Regular price $19.99 - $22.99 now on SALE for only $6.95 each! A little bit goes a long way with this face paint, you apply it with a damp sponge or dip the makeup brush or applicator in water. The SNAZAROO makeup is all hypoallergenic, highly pigmented and vivid colors. This week 20th Century Fox released 3 new Wolverine movie trailers, they are exciting, but actually tell too much of the story for me. I am so excited about this movie, but I hate to see a movie realizing that I already saw half of it in the trailers. I had the 3 trailers posted here, but they were taken off of YouTube by Fox, so let's go Fox! Post your own if you don't want others doing it for you! 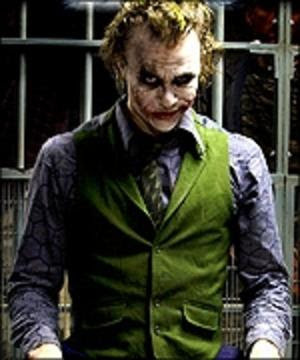 One of the most anticipated movies of 2009 and bound to be one of the most popular costumes for 2009 as well! Is 13 lucky for you? We here at Extreme Halloween are not too superstitious: 13 websites, plus the whole Halloween thing an black cats just don't bother us! (Obviously) And we are big fans of horror movies and of course Friday the 13th is one of the best! In honor of the "holiday" today only we are offering a blog special of 13% off of your online order of $75.00 or more. Use coupon code THIRTEEN and check out - and hurry this lucky offer is only good today, Friday the 13th! So, celebrate Friday the 13th! Check out the new Friday the 13th movie! It looks like its gonna' be done really well with all new levels of fear and hi tech gore! And to celebrate Friday the 13th we are going to list MovieFone's countdown of the best horror movies of all time. Some that we agree with and some not so much. But here it is! Tell us what you think! The original Friday the 13th is #21 on their list. Most notably for me, Nightmare on Elm St. is #13 on their list and it is definitely closer to #1 for me! I couldn't sleep for weeks after I saw it! I am honored and excited to be speaking about what I do and what I love at a national conference next month. I will be part of a panel on e-commerce optimization at PubCon South in Austin, TX March 11 - 13, 2009. I am thrilled beyond words to be able to share with others in the interactive marketing industry how I have changed my family's costume shop into the national and international online business it is today. Keeping on top of an internet business and staying on top of the search engine rankings (i.e. showing up in Google) is a tough job and the rules are always changing. The marketing aspect of it combined with the costumes that I love really keep me excited and on my toes at the same time. Working with my famliy is a blessing - and some days a curse; but I would not change it for the world! I have attended two PubCons and another workshop put on by WebMasterWorld. I value and appreciate what I have learned and the contacts and friendships I have made. I can't wait to learn more, meet new people, greet old friends and, this time, maybe impart some of my knowledge too. Mardi Gras Travel Destinations on a Budget! I just recently found this great travel blog that talks about travel destinations on a budget! Which is very timely these days: everyone wants to get away but no one has a lot of money to spend on vacations. The HostelBloggers.com website has some great features on Mardi Gras destinations and history. 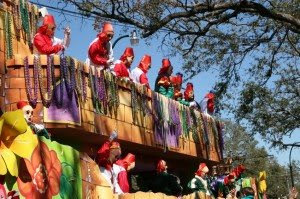 Check out HostelBloggers.com for some great Mardi Gras Vacation getaways on a budget! 3. 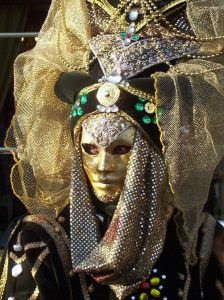 Venice Italy for their Carnival! 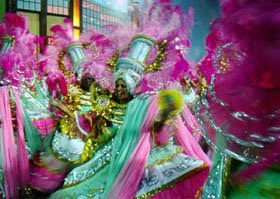 For more on these, take a look at our top 10 carnival destinations. Can’t get to Rio or Venice? Then celebrate Mardi Gras where you are! Try cooking a traditional Mardi Gras recipe such as pancakes, King Cake, or gumbo and then drink as many Mardi Gras cocktails as you can. - Throw eggs and flour at each other. - Throw water balloons at each other. Make sure to heed the tips for making the most out of Mardi Gras! Plan ahead of time and make sure that you dress the part! Whether you just want a simple mask or full costume regalia, we have what you need at www.MardiGrasCostumes.com. Get in the Spirit For St. Patrick's Day! We all need a little bit of good luck these days, so why not embrace the Luck of the Irish this St. Patty's Day and dress up? Or maybe just accessorize for the day with hats, t-shirts, beads and other fun party decorations. Win a Free Cupid Cutie Costume! Many thanks to our friends over at The MomStart Blog. They are featuring our Cupid Cutie costume in a giveaway promotion for the next two weeks to celebrate Valentine's Day. Check out the MomStart Blog for details and your chances(s) to win! 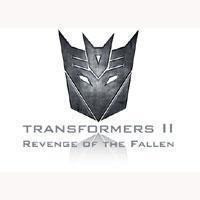 Transformers II Revenge of the Fallen is due out in theaters June 26, 2009. Their Superbowl commercial gives us one of the first new looks at this blockbuster film! The first Transformers movie brought us some of the coolest costume designs for kids that have been Halloween costume favorites for the last two years. Optimus Prime costumes and Bumble Bee costumes for kids have made the Extreme Halloween top Halloween costume list for both 2008 and 2007. Halloween 2009 will be no exception, the Transformers Halloween costumes are sure to be kids favorites once again this year! The first Transformers movie was an action packed success. If you have not seen it yet, here is your chance to own it on DVD at a great price!